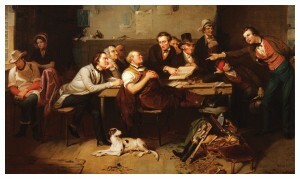 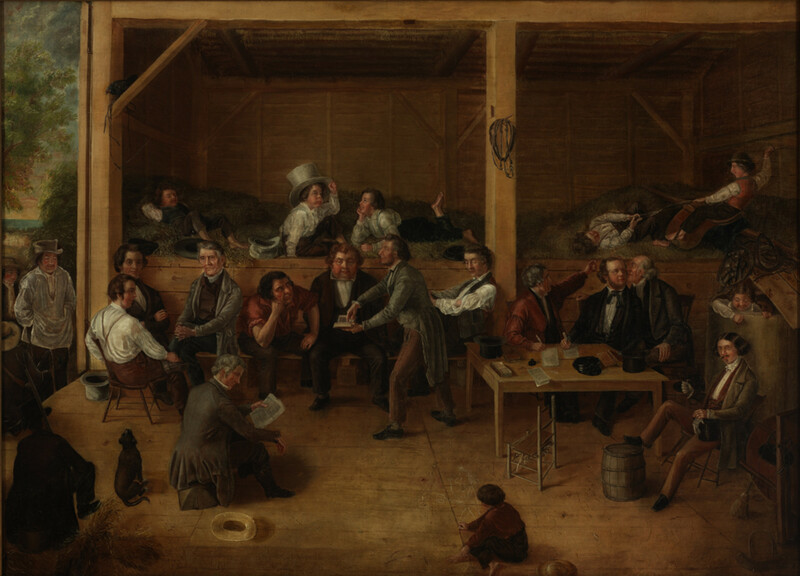 A. Wighe, Trial by Jury, 1849. Tompkins H. Matteson, Justice’s Court in the Backwoods, 1850. 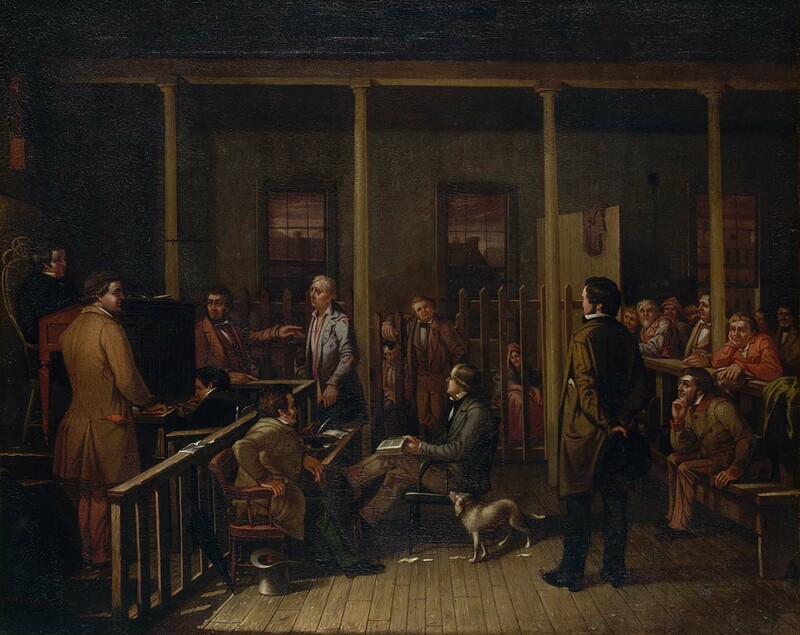 William J. Brickey, Missouri Courtroom, 1852. 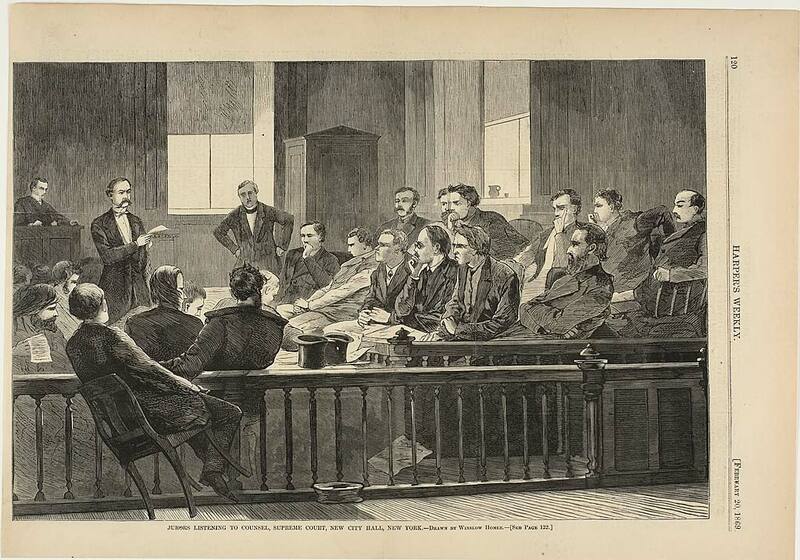 Winslow Homer, Jurors Listening to Counsel, Supreme Court, New City Hall, New York, Harper’s Weekly, 20 Feb. 1869.